Geographically, Brăila town is located in the south-east of Romania, lying in the north of Brăila Plain, also known as Northern Bărăgan. The distance between Brăila and Bucharest, the capital of Romania, is approximately 200 km, which gives our town a huge opportunity to be visited by foreign tourists from all over the world. The average altitude of Brăila town is 20 m, the city lying in the lower sub-areas of the Wetlands of Brăila. Geomorphologically speaking, the relief is flat, monotonously extending into the Northern Bărăgan, between 20-30 m altitude, higher to the north-west, where substantial layers of sand have been deposited up to 33 m high and where the Russian community has developed as a local minority in their ethnic district over time, mainly for the last two centuries. Towering 10 m above the Danube, the eastern part of Brăila Plain has formed a terrace which provides a wonderful view over the river waters and over the Small Wetland of Brăila. 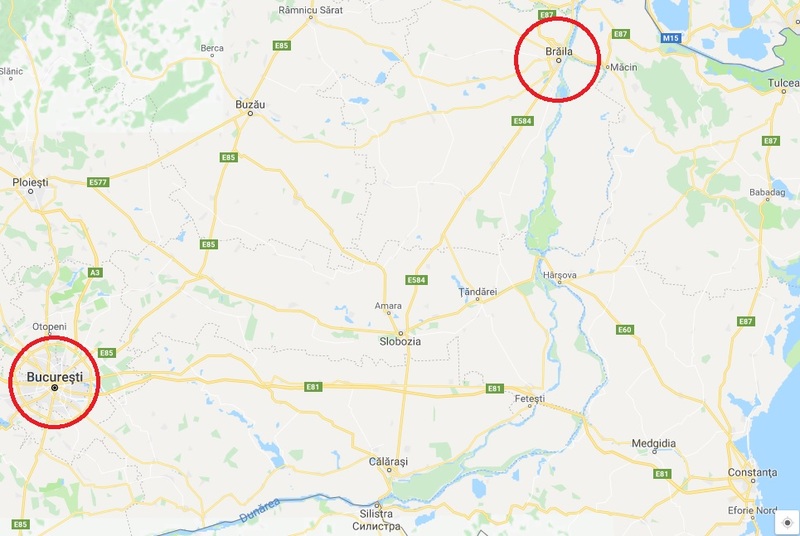 The town is also situated in the vicinity of the Great Brăila Island, which is bordered by the two branches of the Danube: The Old Danube (or Măcin Branch) and the New Danube Branch. Nearby, a few kilometres away from the city, there is a salt lake with very salty water, whose therapeutic mud has cured many people of different diseases over time, particularly of rheumatism. The climate is temperate continental with some Danube breeze influences. On average, August is the hottest month and January is the coldest, November being the wettest.